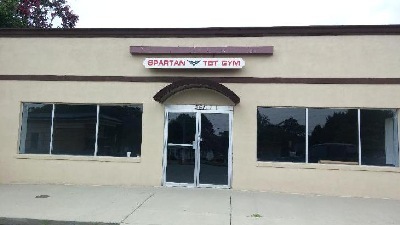 SPARTAN TBT GYM is located at 351 Union Cemetery Rd SW, in Concord, NC. We are, predominantly, a Powerlifting Training Facility, but we have equipment and training protocols for everyone. If you are looking to completely change your body, SPARTAN TBT GYM is where you want to train. Whether you are just looking for an old-school training facility to join, or you are in need of Individually Designed, Specialized Training Protocols, we have what you need. All of our equipment is plate loaded. This is not a "Big Box", corporate gym, which is just a money grabbing machine. We are here to allow you to become stronger than you have ever been. We are a 24/7/365 Training Facility, and are Veteran owned and operated. That being said, you never have to worry about being able to get to the gym on time, if you are part of our SPARTAN Family. We are Military and Law Enforcement friendly. We were established in 2013, as a Training Studio. We, soon after, decided to transition to a full-scale gym. It was, and still is, our goal to provide the absolute best Training Facility available. COME LET US SHOW YOU HOW TO GET SPARTAN STRONG!